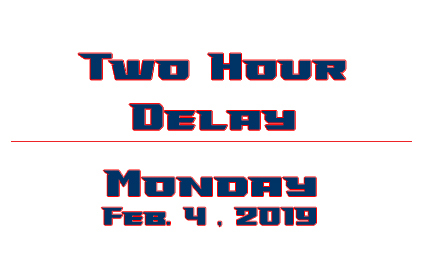 Although we clearly considered the Super Bowl as part of our timing, we need to be prepared to utilize the “school opening delay” procedures with the likelihood of a storm that may end early morning or one that poses a challenge during the normal morning commute time. It has been many years since we practiced the “school opening delay” procedures. The drill on Monday will be a first time experience for most people involved with scheduling and the overall logistics of the process. By exercising a planned delay, we can ensure operations to be seamless when we need to implement it for an actual storm or emergency circumstances. There will be no placement for the day. Staff report at 9:00 am, 9:15 am, and 9:30 am to reflect the time you start ordinarily. Buses will be delayed by two hours. The buses will run its typical pickup schedule at the same location, it’s just with a two-hour delay – same pickup location. For example, if a normal bus pickup is at 6:40 am then the bus pickup will be at 8:40 am.